The real trick to cost saving when using Direct Mail Marketing is to get the postage sums right. 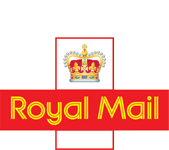 Royal Mail offers a wide range of discounts on all types of postal services and Mailing Expert can advise on all of these to give you the best Postage Discounts. From Mailsort to Advertising Mail, Clean Mail to Parcel Post, Sustainable Mailsort to Barcode and Publisher Mail. Mailing Expert makes sure that you get the best from your direct mail advertising budget by assessing and pre-processing your mailing items to meet Royal Mail criteria. Mailing Expert has access to the Downstream Access providers and a full range of Overseas Mail discounts too. When you book your direct mail campaign with us we will provide you with advice on all the available services to ensure that you get the best deal for your direct mail marketing spend. For larger users we can consolidate mailings to maximise the potential savings on offer from the various different providers, blending different services to optimise the savings for our clients. Mailing Expert can also save clients’ money by checking the quality of data supplied and removing duplicates. We can also check for gone aways, deceased, and remove those prospects who subscribe to the mailing preference service, using our handy data cleansing service.